Konica Minolta Wins Big For Expertise In The Healthcare Industry | Industry Analysts, Inc.
Ramsey, NJ, Feb. 08, 2019 (GLOBE NEWSWIRE) — Konica Minolta Business Solutions U.S.A., Inc. (Konica Minolta) is pleased to announce that its leading healthcare technologies have been recognized by Keypoint Intelligence – Buyers Lab (BLI), winning two prestigious BLI PaceSetter Awards in Healthcare, for the Hospital Networks and Group Practices categories. “Healthcare providers, at every level, face mounting pressures to improve care and reduce medical errors, adhere to strict patient-privacy mandates, ensure security and regulatory compliance, move from paper records to electronic ones, and trim costs wherever possible,” said Jamie Bsales, Director, Solutions Analysis at Keypoint Intelligence. “Today’s multi-faceted document imaging vendors offer more than just printing hardware. They are uniquely positioned to help address these challenges with solutions and services that streamline processes and bring together the worlds of paper-based and electronic information. Konica Minolta is distinctly recognized in both the Hospital Networks and Group Practices categories. This is attributed to the synergy of its healthcare-specific technologies, supported by the All Covered IT Services division, Konica Minolta Healthcare Americas’ medical equipment, and Konica Minolta’s portfolio of document imaging hardware and software. This includes bizhub® SECURE Healthcare, Healthcare MFPs, and Dispatcher Phoenix for Healthcare. The recognition in the Hospital Networks category was also received in 2017, but this is the first year for Konica Minolta to be recognized in the Group Practices category, further emphasizing the company’s dedication to holistic offerings for healthcare. The awards are based on unique research analysis by Buyers Lab, evaluating the strengths of document imaging OEMs. Specifically, the analysis focuses on eight key areas: Hardware, Software, Service and Support, Professional Services, Security, Industry Certifications, Vertical Leadership, and Overall Value. The awards will be officially presented next week at Konica Minolta’s booth (#5745) during the HIMSS Global Conference & Exhibition in Orlando, Florida, where there will be a prominent gathering of healthcare leaders and professionals. This suitably complements the stage for Konica Minolta’s Healthcare Technology Showcase there, which will feature key solutions and services that support healthcare priorities in the ever-evolving landscape. For over 50 years, Buyers Lab has been the global document imaging industry’s resource for unbiased and reliable information, test data, and competitive selling tools. What started out as a consumer-based publication about office equipment has become an all-encompassing industry resource. In a landscape that’s ever-evolving, we change with it. Konica Minolta Business Solutions U.S.A., Inc. is reshaping and revolutionizing the Workplace of the Future™ (www.reshapework.com) with its expansive smart office product portfolio from IT Services (All Covered), ECM, Managed Print Services and industrial and commercial print solutions. Konica Minolta has been recognized as the #1 Brand for Customer Loyalty in the MFP Office Copier Market by Brand Keys for 11 consecutive years and is proud to be ranked on the Forbes 2017 America’s Best Employers list. The World Technology Awards recently named the company a finalist in the IT Software category. Konica Minolta, Inc. has been named to the Dow Jones Sustainability World Index for six consecutive years. It partners with its clients to give shape to ideas and work to bring value to our society. 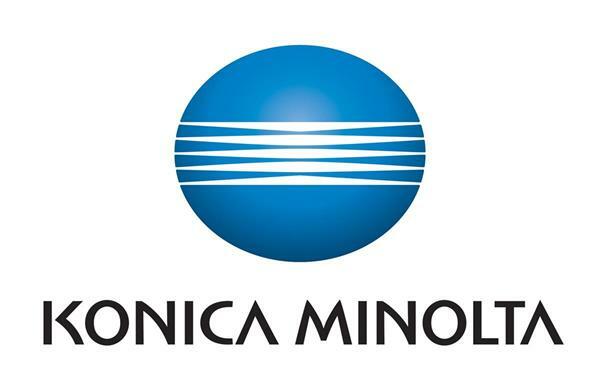 For more information, please visit: www.CountOnKonicaMinolta.com and follow Konica Minolta on LinkedIn, Facebook, Instagram, YouTube, and Twitter. This entry was posted in Konica Minolta and tagged Buyers Lab PaceSetter Awards, Keypoint Intelligence – Buyers Lab, Konica Minolta by IA Staff. Bookmark the permalink. Next → Next post: ecoprintQ Take Your Child To Work Day!